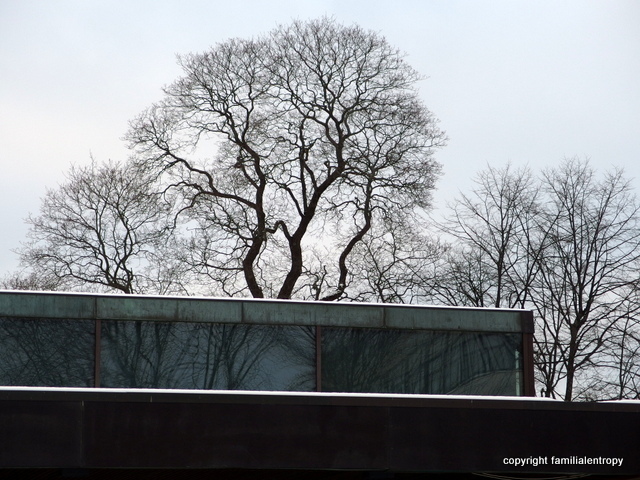 Last Sunday was a rather greyish day, so when I picked up Karsten from university he went home with the little one and I took the chance and visited the Sibelius museum close by. Considering that the museum is named after one of the most important Finnish composers, the display was surprisingly minimalistic – just one small room dealt with his life and work. There was, however, a nice exhibition of old instruments too, and the information about Sibelius was enough to give a good insight. Like many composers at this time, he was highly inspired by nature and reflected it in his music – many of his pieces are very calm and a bit melancholic. He also must have been quite a personality – drinking, smoking cigarettes and mainly living from funds by the state (also likewise many composers of that time…). However, he had a surprisingly long life if you take into account his lifestyle and that he was already born in 1865. He died 92 years later (and, according to him, survived all the doctors who told him to stop drinking and smoking). He wrote a diary, starting with an overview of his debts, and many entertaining anecdotes exist about him. All in all, very suitable for such a day! Later that afternoon I came down with shivering and fever, which might explain why the -5°C on Sunday felt so much colder than the -15°C during the week….So I am taking it slow right now. This entry was posted in Finland and tagged music, Turku. Bookmark the permalink.